NEW YORK, NY -- (MARKET WIRE) -- September 21, 2006 -- BMF Entertainment and Bleu DaVinci get ready to release the highly anticipated compilation, "The World is BMF's Volume 2" on Oct. 3rd. The set features exclusive DVD footage. 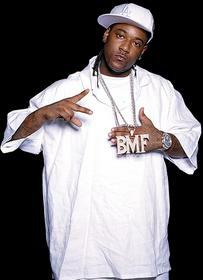 Bleu DaVinci has evolved over the years from an artist to President of his own company, BMF Entertainment. On this compilation, he introduces his own protégés, Tuge, Oowee, and Computer. The album also features appearances by Yukmouth, Jackie O, J. Diggs, and others. Most of the tracks are produced by his in-house producer S. Class, who has a long working relationship with Bleu. This is the first release after the tragic death of Bleu's younger brother Baby Bleu. The release of Bleu's solo album was scheduled to be released around this time, but due to these unfortunate events, the album was postponed. Bleu decided to release this compilation before his solo album to showcase his talent and the talent of his protégés. "I was getting ready to release my album, when the death of my brother happened, and I had to take care of that, and that has basically just delayed the release, but with this compilation I get to introduce the new artists on BMF Entertainment," says Bleu. The first single on "The World is BMF's Volume 2" is the street anthem, "Star in the Hood" by Tuge featuring Bleu DaVinci. 8. Move In Move Out - CT, Gotti, Bleu DaVinci.